Flying fish inhabit oceans, not lakes. Well, except for one sunny day in 1958. If you were looking at Lake Atitlán then, you would have seen big fish on the fly. They arrived in tubs welded into what was, judging from eyewitness accounts, a Sikorsky seaplane, which early airlines used to scout routes for the budding commercial aviation industry. The fishy missiles rained down as the pilot swooped close to the surface. The plane bore the insignia of Pan American World Airways. Pan Am had made common cause with Panajachel’s nascent hotel association to boost tourism to Atitlán by making it into a sportfishing destination. This would be done by literally dropping black bass into the lake. Unfortunately, the fish already living there, who surely would have objected to this idea, were never consulted. And the phrase “environmental impact study” was not yet in anyone’s lexicon. This bass in question, Micropterus salmoides, is the state fish of Alabama and Florida. It is a thrilling quarry for sport fishers, but a ferocious killer—even of its own species. “These fish,” says American John Riddle, a longtime Panajachel resident, “will try to gobble members of their own kind who’ve had the misfortune of being hooked.” Being a largemouth species, the bass do not hesitate to attack prey as large as themselves. They can ingest anything up to a third of their size, which includes even baby alligators. The male does have one virtue: He guards and fans the eggs while the female plays doxy with several nest-hugging males. The indigenous species in the lake quickly became scarce following the bass paratrooping. Ironically, the bass introduction made Atitlán a poorer source of food fish—rather than a richer one—by stunting its biodiversity. 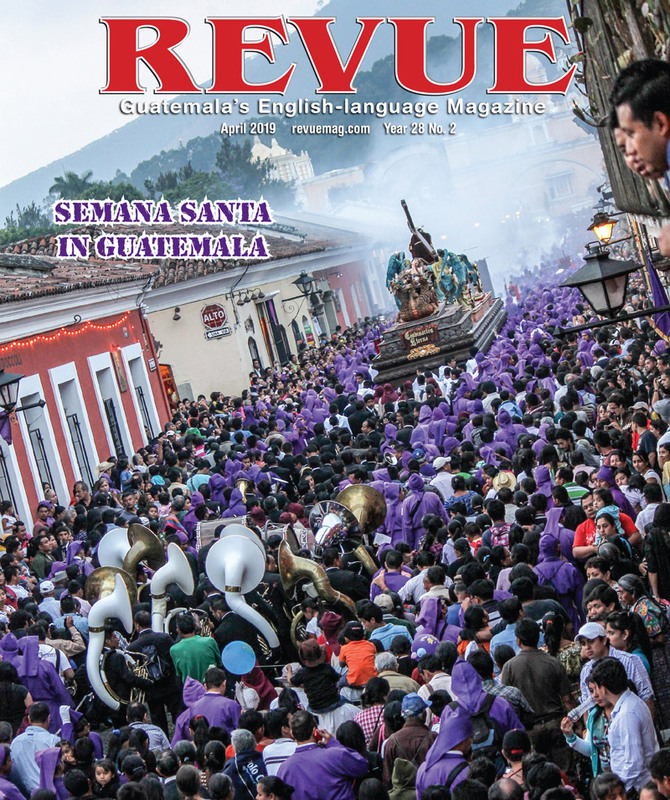 For millennia Maya fishermen had captured local fish in nets lowered from cayuco boats; now they had to retool. The bulk of their take declined, and so did the variety. “I was a boy when they dropped the fish,” says Guatemalan Charlie Vickers. “I watched it from the lakeshore. 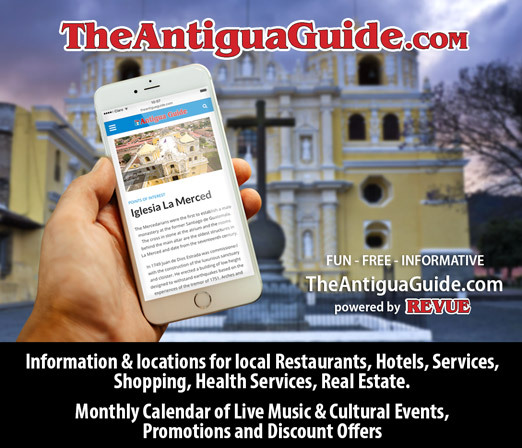 I’d never seen anything like it, nor do I expect to, ever again.” Vickers himself grew up to become a hotelier, as proprietor of what is today Panajachel’s Jardín del Lago. In the lakes and rivers of the southeastern U.S., the bass’ numbers are checked by herons, bitterns, eagles and alligators; kingfishers prey on the young. But in Lake Atitlán, Micropterus became the apex predator when, previously, no single organism held this distinction. When the native fish declined, the bully bass prowled the muddy bottoms and chomped every freshwater crab and snail large enough to trouble with. The crabs survived, but large individuals are rare near the shore, having retreated to depths to which the bass do not descend. The other hunted survivors include bluegill, crappie and a type of tilapia. Another threat to Atitlán´s ecology is the presence of introduced carp. Some organisms, peculiar to the lake, may have met extinction before biologists had an opportunity to catalog them. The bass’ most resplendent casualty was the great grebe, a large bird which, like the bass, eats crabs. As the crabs waned, so did the grebe; the last was seen in 1982. The Atitlán subspecies was the only population outside of South America. In 2004, Riddle and others chartered a club to make the hunters into the hunted. 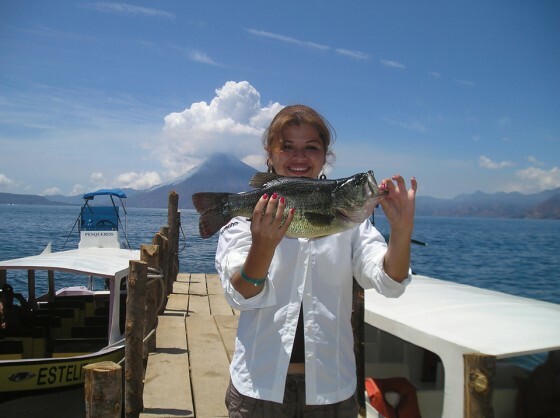 This was the year the Atitlán Bass Club held its first tournament, an annual event suspended in 2009 due to the cyanobacterial bloom, which has no direct relation to the bass introduction decades earlier. Over this period, attitudes about sport fishing in Atitlán have so changed that even the Bass Club is conservation-oriented. Most bass caught during the tournament are thrown back after being weighed, measured and photographed. Trophies have been awarded to anglers who released their catch to hunt and be hooked another day. The Bass Club today belongs to an alliance of organizations dedicated to preserving the health of the lake, not only for fish and fauna generally, but for anglers, too—both sport and subsistence fishermen. The earlier alliance—of the hotels and Pan Am—is today a bizarre footnote in Guatemalan history, a “fishy” scheme that might have inspired an episode of The Simpsons set in Central America. The hotel industry developed apace without Atitlán acquiring the enviable reputation as a fishing Mecca. And 33 years after the bass seeding, Pan Am, the “world’s most experienced airline,” went belly-up in 1991. Myriad competitors were by then overwhelming Pan Am with their own Guatemalan routes, and mention of Atitlán sport fishing had disappeared from the company’s brochures. Yet the legacy of the bass invasion remains in force. Decades of ecological adjustments have brought the lake’s dislocated food web into a new equilibrium, and fighting fish may be had with surprising ease. Even the piers at Panajachel are frequented by anglers equipped with as little as a line and a single lure. These are twirled overhead like a sling, then cast, then reeled in—without a reel. Pan Am, like the great grebe whose fate it sealed, is gone. But sportfishing in Atitlán is cleared for takeoff.